Some lessons can't be learned in a classroom. A seminary education is immensely valuable, offering theological preparation, spiritual formation, and wise mentoring. But many new pastors are discouraged when the realities of their first call don't line up with what they came to expect from assigned readings and classroom discussions. In our age of brokenness and hurt, the Christian church is called to come alongside people with the life-giving Gospel of Christ. Unfortunately, many churches assume that well-intentioned Christians not only know how to do this, but are actually doing it. Such is not the case. Pastors, lay leaders, and church members will find in this simple resource, ideas that empower and train people to minister to one another. 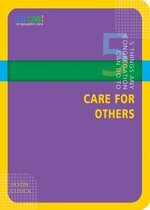 This book equips and encourages believers to continue Christ's call to care for others. Cusick offers practical guidance for every believer on ministering to the needs of others. Readers will be equipped to comfort the hurting, assist the needy, offer recovery for the addicted, encourage the aged, and provide spiritual care training for everyone. This collection of attention-getting quotes are perfect for church signs, bulletins, newsletters, and sermons. With 10 helpful chapters on effectively using and rating the quotes, 701 Sentence Sermons is an easy-to-use, meaningful, and effective tool--a must for every pastor and church library. Named one of the Top Ten Books of 1994 by the Academy of Parish Clergy! Hundreds of books, tapes, workshops and seminars promise to answer these impossible questions. Some offer a set of practical guidelines; others suggest a system or pattern to follow. Some stress various ministry functions; others feature case studies as models of success or failure. Some are helpful. Others are not. But in The Art of Pastoring, David Hansen turns pastoral self-help programs on their heads. He tackles the perennial questions from within his own experience. From the Inside Out Hansen's fresh, bold narrative grows from nearly a decade of ministry. He draws you into his life and into the lives of Florence-Victor Parish in the mountains of Montana, including unforgettable encounters with unforgettable people--a stubborn pioneer woman who still chops her own firewood though she's blind and 90 years old, a championship rodeo cowboy who was baptized in his boots, and many more. Hansen's goal is to help you discover "that pastoral ministry is a life, not a technology . . . [that] life as a pastor is far more than the sum of the tasks I carry out. It is a call from God that involves my whole life." From Calling to Living Parable Every pastor has encountered those who struggle to hear God's voice in a hospital room, who reach for Jesus in the sacraments. No systematic answers can meet their deep, eternal needs. What can touch them, Hansen contends, is a life itself, a life lived as a parable of Jesus. "As a parable of Jesus Christ," Hansen writes, "I deliver something to the parishioner that I am not, and in the process I deliver the parishioner into the hands of God." It is this knack for getting to the heart of things that makes The Art of Pastoring valuable for pastors in any setting--rural, suburban or urban. Parachurch workers, missionaries, church leaders and ministry volunteers will also find inspiration here. In this significantly revised new edition, Hansen includes new insights into his view of pastorate as parable and adds a new postlude in which he comes clean on his "constant attempts to leave the ministry." 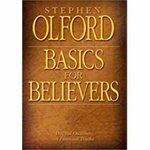 "The Stephen Olford Essential Sermon Outlines is a new concept in preaching anthologies. Superior messages are distilled into "essential sermons." 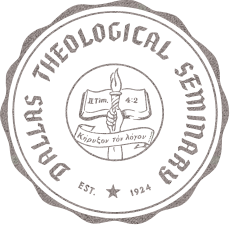 A brief introduction, short exposition of the text, and conclusion are accompanied by illustrations and amplifications. Each element is marked so messages can be adapted to any occasion and style of preaching or teaching. Pastors, evangelists, and Bible study leaders will find this volume a fresh resource for sermon preparation. The series is divided into sections of topical, textual, and seasonal collections. 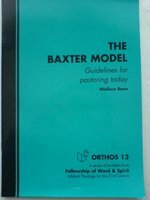 Using the model of Richard Baxter, who was a pastor and vicor in the 1600s, and who wrote The Reformed Pastor, first published in 1656, Baxter's methods and relevancy today are discussed. As Allan Cole knows firsthand, both personally and pastorally, Christians are not immune from anxiety, and many believers go to their church leaders for support and solace. This helpful book draws on narrative approaches to theology and counseling to suggest how pastoral caregivers may effectively minister to anxious persons.Be Not Anxious provides pastors and other caregivers with a basic understanding of anxiety, including how to identify those suffering from it and how to get at what is making them anxious. Cole focuses both on cognitive-based methods and on common faith practices -- church membership, frequent worship, prayer, Bible reading, service, and confession -- showing how these may provide relief from anxiety. By addressing the roles of both psychiatry and ministry as co-liberators from anxiety, he leads the pastor and the faith community in helping disquieted souls to find rest. The Bible is at the heart of Christian life and witness. Yet the application of the Bible to the practice of Christian faith -- to spiritual growth, pastoral discussion, and even preaching -- is often too naove and simplistic. "The Bible in Pastoral Practice" recovers a critical awareness of the ways in which the Bible is -- and might better be -- employed in pastoral practice, whether such practice entails visiting those in the hospital, teaching a church education class, or campaigning against world debt. Experts address a fascinating array of topics -- from pastoral practice before the Bible to Ignatian spirituality -- arranged according to three broad areas of concern: how the Bible has been used by pastors of the past; how contemporary methods of biblical scholarship can be applied to pastoral practice; and how the Bible applies to the Christian life today in such areas as ethics, preaching, and the arts. This invaluable resource will equip scholars, teachers, students, and those in all areas of pastoral work to creatively appropriate the Bible. In The book That James Wrote, Earl Palmer offers a user-friendly guide to James that is ideal for pastors and parishioners, for personal or small-group study. Written in a personal style, the book will enrich understanding of what James has to say to us today. Ministry leadership requires healthy ministry leaders. In this unique book, Pastor Eric Willis introduces you to the concept of a monthly respite. One day. Once each month. Ministry demands leaders pour themselves out with little time to focus on their own restoration. Breathing Space is a fresh infusion of hope and biblical perspective to stay the course of ministry. Has God called you or someone you know to the ministry? Find out for sure. This practical book aims to help teens and young adults understand what ordained ministry is and decide whether or not they are called to it. Each chapter offers answers to several questions that young people typically have about the ministry or their own call to ministry.